In my next show, at the Sugar Cube Gallery, Hambridge, I continue my explorations on the notion that nothing is ever completely eradicated: barely perceptible traces of every action remain like DNA signatures, capable of being read by those with the knowledge, sensitivity and technology. These traces affect what follows, whether we know it or not. 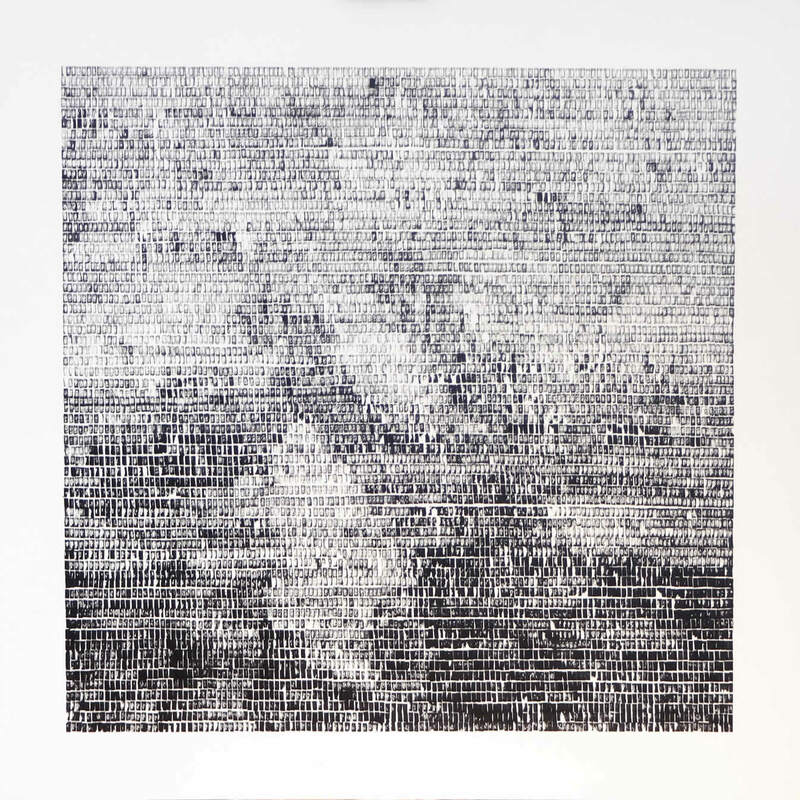 Referencing crop marks, stone circles and mapmaking, a new suite of minimalist drawings using erasure and redaction will be on show along with selected work from two strands of my Black Squares series – asemic writing and “colourful black squares” plus anything else I can fit in to “the smallest gallery in Somerset”. All the pieces are small to medium in size and as such are affordably priced and would make great Christmas gifts for friends, family or a treat for yourself! 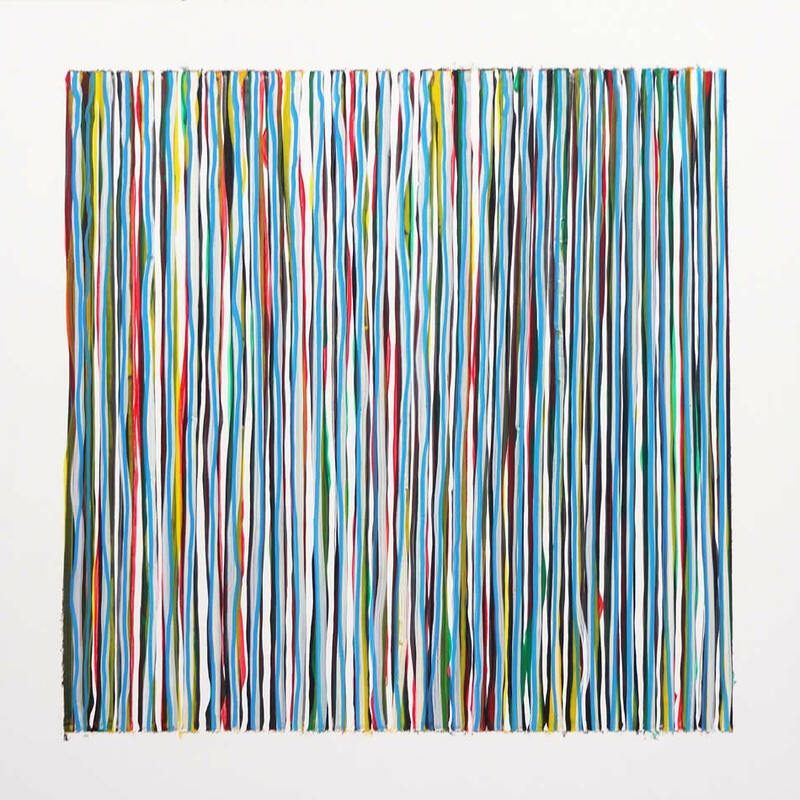 The show runs 7 November – 21 December at Sugar Cube Gallery, The Courtyard, Bowdens Farm, Hambridge, Somerset TA10 0BP Monday – Friday 9am – 4pm. There’s a preview evening on Friday 4th November 5pm – 7pm and it would be great to see everyone for a glass of fizz and a chat. 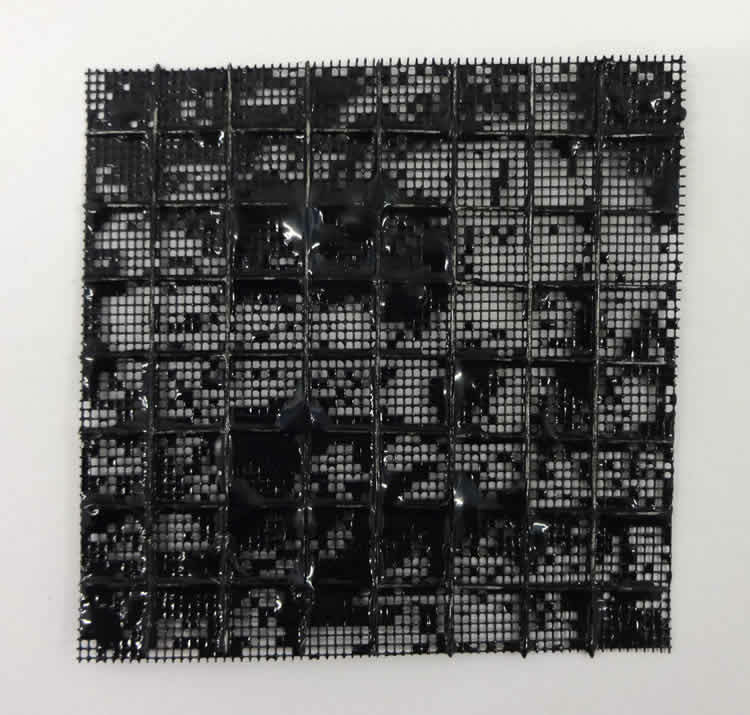 This entry was posted in Black Squares, Drawing, Exhibitions, Mixed media, Paper and tagged abstract, Art, Black Squares, drawing, Hambridge, minimalist, paper, Somerset, Sugar Cube Gallery on 24 October 2016 by David Smith. I had a moving couple of hours opening and recording the contributions to my collaborative piece “The Binding Grid of Creative Connection” which I will be working on during the first two weeks of my show “Black Squares, Black Lines & Black Magic” at Black Swan Arts, Frome. So far 55 artists have contributed a total of 117 pieces for me to work with. I am really touched that so many people – people, mostly, I have never met – have taken so much time and care to make something for me to do with as I choose. People have trusted me with their art and given it in good heart. Most people packed their little 4″ x 4″ work with meticulous care. Many included a short note or a card with good wishes and words of support. Sometimes there was a little story about the piece and for me the greatest joy was when someone said how much they enjoyed thinking about and doing their piece. Pure inspiration. Thank you everyone. I will still accept contributions for the next two weeks. Do come and visit me at the gallery to see th eprogress and unfolding. I have had pieces from France, Norway, America and all over the UK. Artists of all ages, amateur and professional, experienced and emerging, have put themselves out to send a creative gift. Some people sent multiple contributions. Three was a frequent number but a few sent more than 10 pieces! As yet I am still to discover who sent a pack of sixteen wonderful, double-sided squares, carefully packed, but didn’t enclose even a clue to their maker. Please let me know who you are so I can credit you! 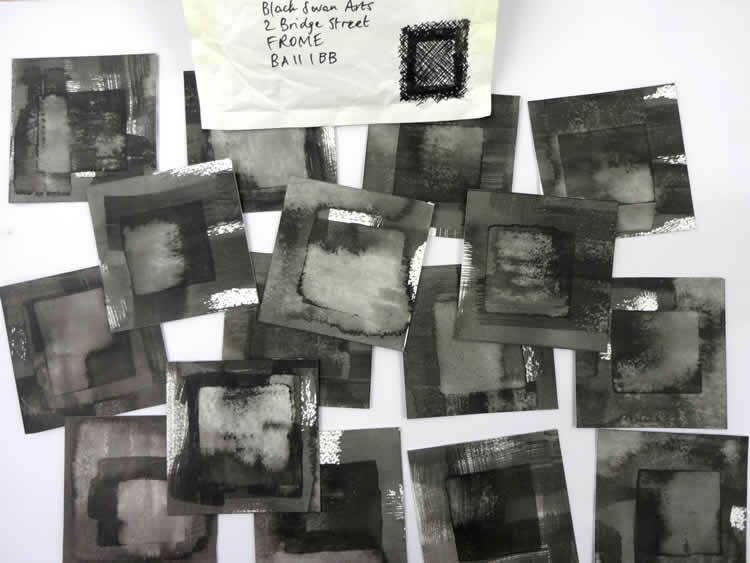 This entry was posted in Art, Binding Grid of Creative Connection, Black Squares, Collaboration, Collage, Exhibitions, Mixed media and tagged abstract, Art, Black Squares, collaborative, collage, drawing, Exhibitions, participatory on 5 November 2015 by David Smith. Riding on the success of Bridport Open Studios I am launching myself headlong into preparations for my next show. 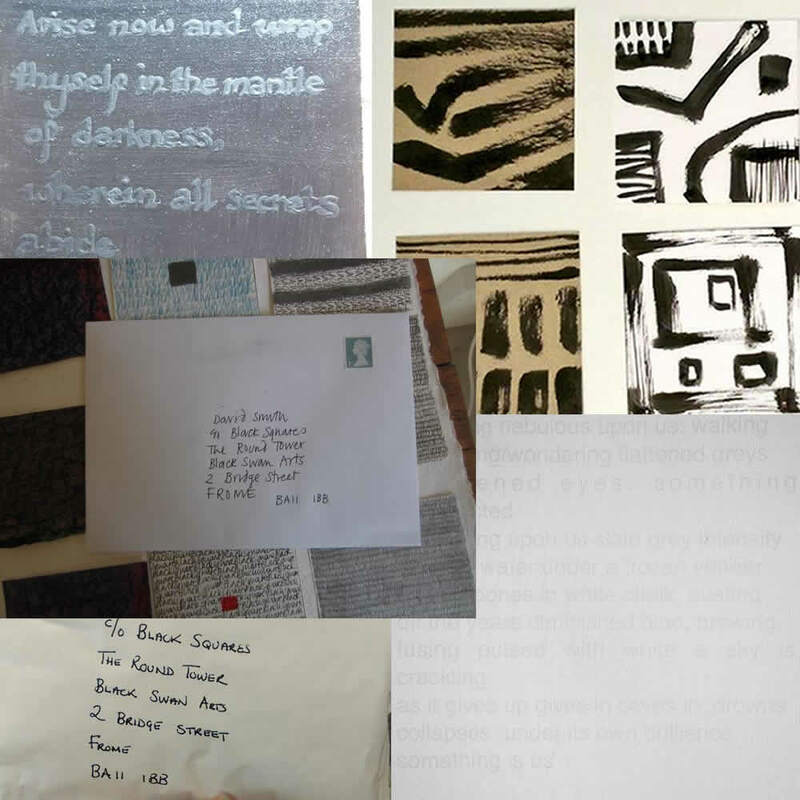 It’s going to be in the Round Tower at Black Swan Arts in Frome starting 6 November 2015 under the working title, “Black squares, black lines & black magic”. It is a really brilliant space and I am determined to create a show that takes the building into consideration rather than just arranging my pictures nicely round the walls (round being the operative word!) I am also determined that it will not be just a static display: I want the show to evolve over the three weeks it is open. I haven’t the luxury of a proper residency, but I will be there each day the show is open and I hope to develop site specific work during that time. Of course the more people who come through and engage with me the less work will I be able to do, so I have planned two participatory pieces that will help ensure something new gets finished during the show – “with a little help from my friends”! The first of these pieces will involve the help of other artists. After my meeting at the Black Swan tomorrow I will post an open call to artists to submit their take on the theme “Black squares, black lines & black magic”. I will be looking for submissions in any materials or media but they must be exactly 4″ by 4″. If you send something in it may be used in any way I choose, so you mustn’t expect to necessarily recognise your piece in the finished work, though I will publicly credit each artist. More details to follow very soon but in the meantime get your thinking caps on and get those creative juices flowing! The other participatory piece will be an homage to Bob Law. As a painter of black paintings Bob Law has to feature somewhere in the process of making this show. I will be asking the help of all visitors in the creation of this piece and though I have got it pretty much planned out I will wait till the exhibition opens to introduce it. Oh, and don’t think that just because “black” appears 3 times in the working title that everything is going to be dark and sombre. Those of you who follow my work will know that my black squares are often neither black nor square! But there again, people who know me know I can become a little “overfocussed” – dare I say “obsessional”? – which could mean it all does end up pretty monochrome! You’ll have to wait and see. 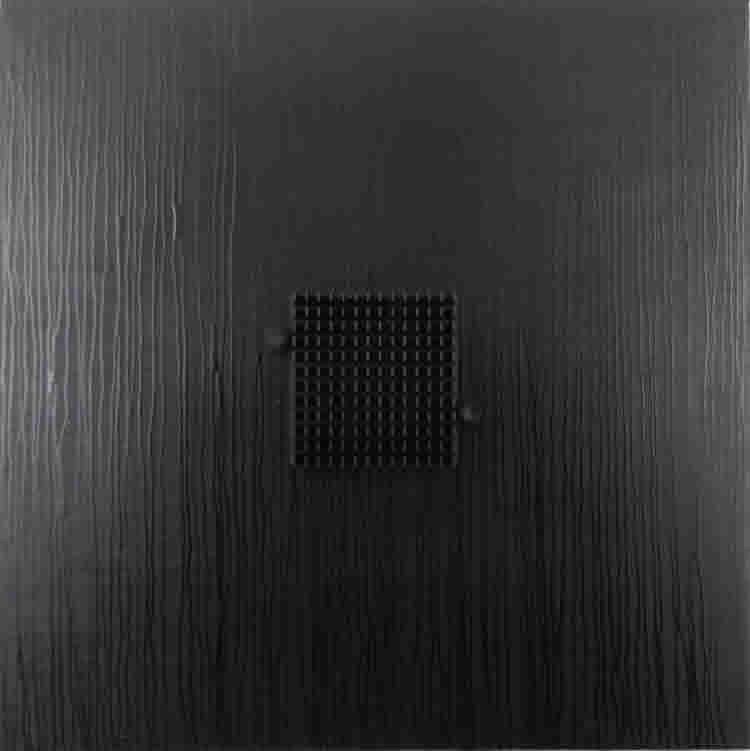 This entry was posted in Art, Exhibitions, Mixed media and tagged Art, Black Squares, Bob Law, Exhibitions, minimalist, participatory on 2 September 2015 by David Smith. 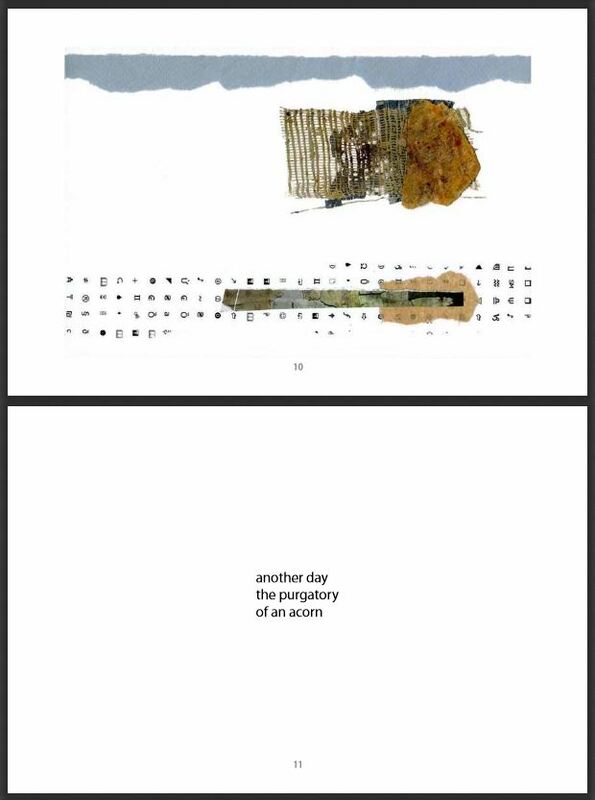 I don’t think I have mentioned that I was asked to provide images of my artwork to illustrate Issue 7 of Bones – journal for contemporary haiku, published back in July. It was a great honour for me to be asked and the words and pictures complement each other superbly. 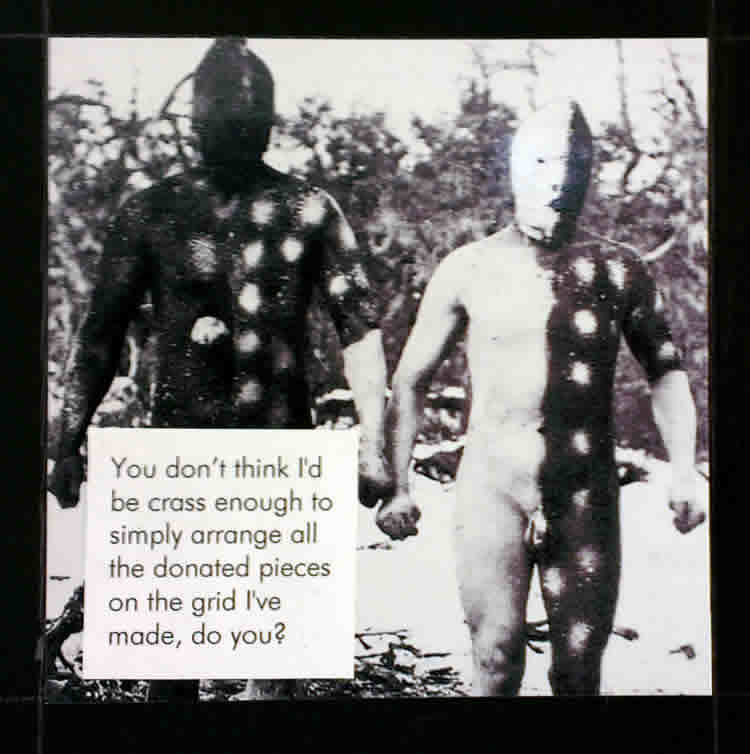 This entry was posted in Collage, Mixed media, Photography and tagged Bones Journal, graphics, haiku, illustration, minimalist, photography on 2 September 2015 by David Smith.